Arsenal will have to play their FA Cup clash against Liverpool just 72 hours before playing their crucial Champions League last-16 clash against Bayern Munich. Wenger had apparently asked for the Gunners to have a Saturday lunchtime kick-off in order to give them a decent amount of rest and preparation time ahead of their first leg match against the European Champions.Instead, TV companies have convinced the FA to schedule the match for the prime late slot on Sunday afternoon – perfect for big viewing figures, but something of a nightmare for Arsenal, who are still chasing three trophies this season.Liverpool have confirmed that the fixture will take place at 4pm on Sunday 16th February. Bayern will visit the Emirates just three days later on the 19th of February. To make things worse, Arsenal already have a big match just a few days before the Liverpool FA Cup clash: they face Manchester United at The Emirates on Wednesday 12th February, a game which itself comes just four days after the Gunners’ trip to Anfield to face Liverpool in the Premier League. Wenger made correct statements there. The fixtures need to either be shifted so as to allow players maintain optimum fitness for the Champions League. The Champions League is the ‘Cream of the Crop’ in European football and focus needs to be put on it. I know very well that in other leagues, Champions League participants sometimes play on Friday in their local leagues so as to have enough preparation. It’s never been done in England before. Only a few fixtures have been played on Fridays in the EPL. What’s more is that the EPL TV rights deal is the biggest in the world of football costing billions of pounds. Shifting a fixture as big as Arsenal vs. Liverpool will only mean people across the globe not been able to watch the game at a convenient time and in turn millions of pounds in TV viewing and subscriptions will be lost. It’s sad that the fixture is taken from the money perspective and not the nightmare Arsenal has to face. It’s going to be a nightmare for Arsenal quite alright. This fixture congestion against big opposition will make it harder for Arsenal to have a chance at winning the Premier League since 2004 and a major trophy since 2005. Playing Liverpool and then Bayen Munich is a real nightmare. It will be hard for Arsenal. They need to be as fit as possible, with no injuries to key players. The momentum in all will be high and Arsenal will have to work hard enough to maintain it. The way I see it, I think it’s done and dusted for Arsenal because I don’t think the team Wenger has can keep up with such Momentum. It’s just a big pity. The prospect of Arsenal going trophyless again seems likely since Arsenal won’t be able to keep up the pressure. Don’t take me for my words though. Football is a game of chance and risk and who knows maybe and just maybe Arsenal will prove doubters wrongs and soak the pressure and end up having a glorious campaign filled with trophies. If Manchester City where in this scenario they won’t have a problem because they have a large squad. Sergio Aguero can be rested and Edin Dzeko brought it and you can be sure the towering striker will deliver. Other key players like Fernandinho, Gael Clichy, David Silva among others can all be rested and competent replacements will be made. 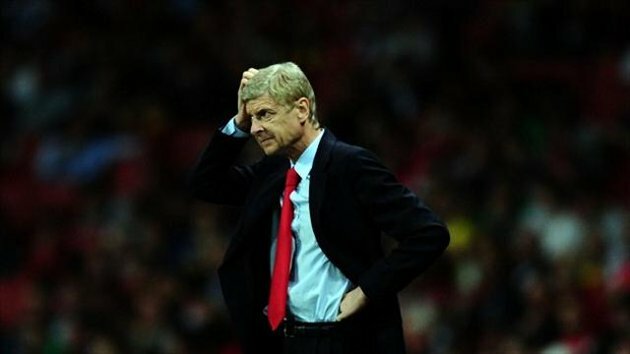 Arsenal don’t have such depth and injury to any key player will worsen the situation for Arsene Wenger.